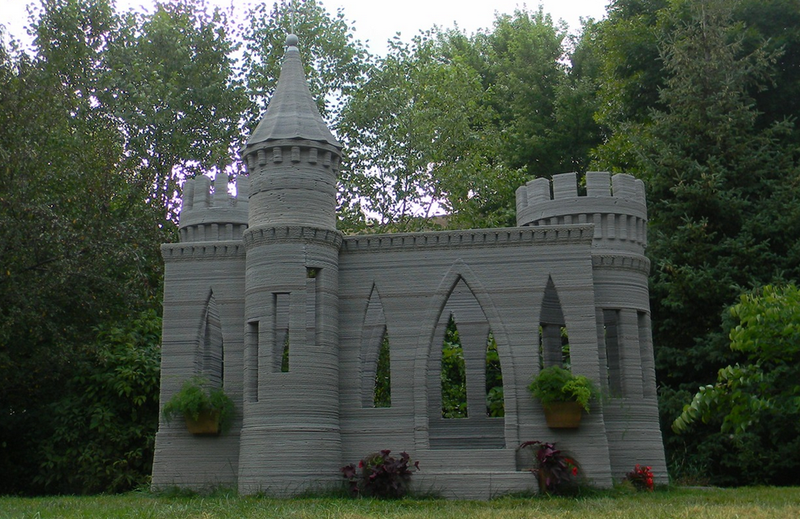 A Minnesota architect has built a 3D printed castle in just under 4 months. Whether he used the world's largest MakerBot or something else to print it is unclear. All we know is that whatever he used was capable of extruding layer upon layer of smooth concrete. Andy Rudenko wanted to 3D print a castle to prove to the world that modern day construction could go much beyond stacking concrete blocks on top of each other, according to 3DPrint.com. "When I started out, people struggled to believe this project would progress any further," explained Rudenko. The structure isn't quite as tall as the trees surrounding it, but it does look big enough to walk around in.